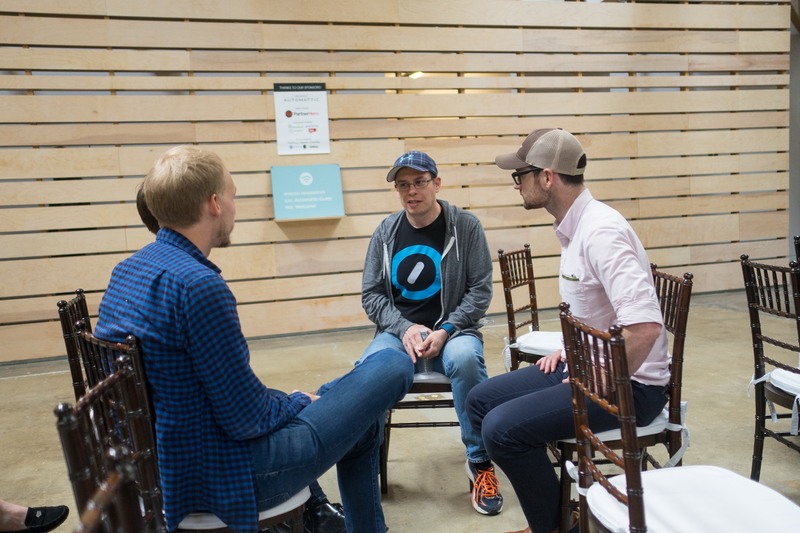 Last week I attended the first ever SupConf, held at Automattic headquarters in San Francisco, California. I attended the event with Mindy Postoff. Simon Ouderkirk and Jeremey DuVall gave talks. Andrea Badgley, Andrew Spittle, and Diana Potter helped organize the event, and Joe Boydston volunteered. We’re all Happiness Engineers. Happiness Engineers unite! SupConf came out of the Support Driven community as a conference for people passionate about support as a career. Being an introvert I was worried about stepping out of my shell. I wanted to make the most of the experience and take advantage of being surrounded by fellow support professionals. As it turns out it was easy to do. Support professionals are dedicated to helping others. They’re empathetic communicators who made it easy to have conversations. This meant it was easy to have conversations with everyone there. The structure of the event encouraged interaction: after each speaker we, the audience, discussed questions related to the presentation. This worked so well, that at one point I looked up from the small group I was in to see that many people had left for a break. We were still involved with our conversation and there were some other groups still going as well. In photo: Simon, Aubrey, Amanda (behind Aubrey), and Sandy. Photo credit: Ben Macaskill. Talks were organized by theme, with three talks in each theme. For example, Jeremey spoke on improving team performance with his talk, “Hi. I hate your product.” Simon spoke on working with data in his presentation, “Use the data you’ve got.” After a series was complete we broke into smaller groups where we could ask questions of the speaker and others. This worked very well and allowed me to have many great conversations with new people without feeling awkward or uncomfortable. Automattic, and my fellow Happiness Engineers, see support as a critical role. So important in fact that everyone in the company, no matter their role, does a one-week support rotation each year. This includes our CEO! However, that isn’t the case in all companies. Sometimes there is a stigma attached to customer support: it’s perceived as an entry level position, or a job that requires little skill. The community and conference did a wonderful job to bring together people from many different companies who want to make support a role you can build into a career. The speakers gave us ideas and advice which we can take back to become better at our craft, and the confidence to work at making the role of support be seen as a career choice like any other. If you are passionate about support but missed out on SupConf, I strongly encourage you to check out the Support Driven community. I know I’m going to be more active there now. There is talk of another SupConf, which I very much look forward to. Also know that there are many great companies out there where you can build a career in support, including Automattic. If this sounds like something you are interested in doing, we’re hiring!